Before: this bathroom layout meant Katie needed assistance. 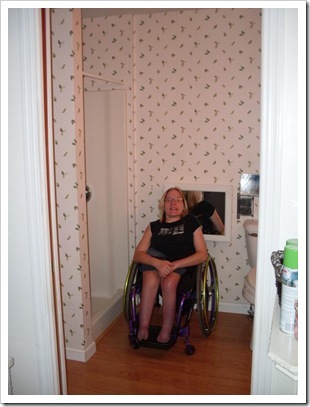 Ken Bryan owner of KBC, Inc. did the design and remodel of this bathroom to allow their client’s daughter, Katie, greater accessibility and privacy. Her bedroom was an addition to the house done by by her father when she was 12. Over the years, Katie desired more privacy which meant remodeling her bathroom area. The bathroom was built over an existing crawl space that allowed us to remove the flooring, taper the floor and recess the entire shower floor. 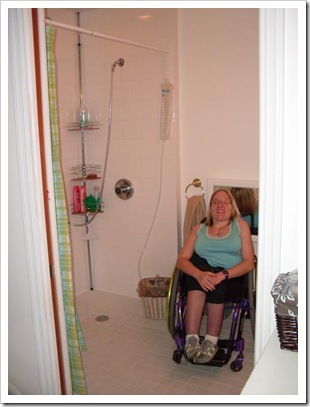 Katie can now shower without assistance and on her own schedule. Removing the linen closet wall allows Katie to freely move about. Both Katie and her mom (Joyce) are very pleased with the project and the ease of cleaning the urethane white grout. 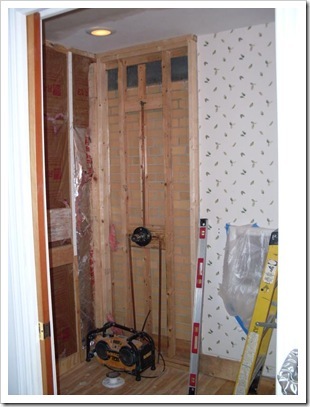 Remove existing small 3’ x 3’ fiberglass shower unit, small linen closet and existing flooring. Modify existing subfloor and recess new roll-in shower 3’ x 7” with tile shower floor, bathroom floor and shower walls up to the ceiling. Install fixed shower head and hand-held shower head on wall bracket. 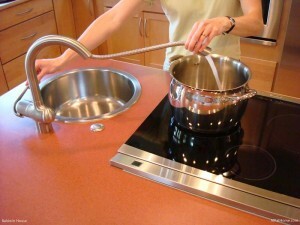 KBC, Inc. serves the greater Cincinati, Ohio area, specializing in commercial and residential remodeling. 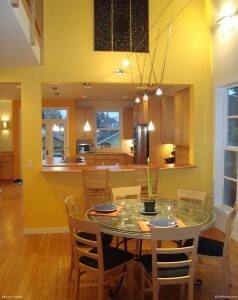 Owner Ken Bryan is a Certified Aging in Place Specialist, Certified Green Remodeler and Certified Graduate Remodeler. Click here to visit the KBC, Inc website.